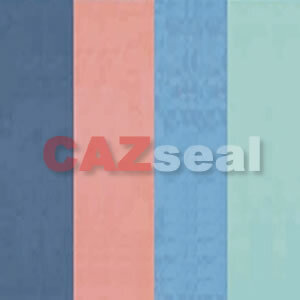 CAZ NCAF Non-asbestos sheet is made from synthetic fibre, natural rubber, filling material and dye, compressed and calendered under high temperature and pressure into a sheet form. It eliminates asbestos-rubber sheet essentially and thoroughly. 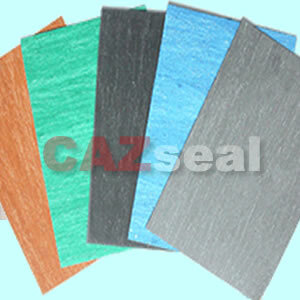 CAZ ONCAF oil-resisting non-asbestos sheet is made from Kevla fibre, synthetic rubber, filling material and dye, compressed and calendered under high temperature and pressure into a sheet form. It eliminates asbestos-rubber sheet essentially and thoroughly. 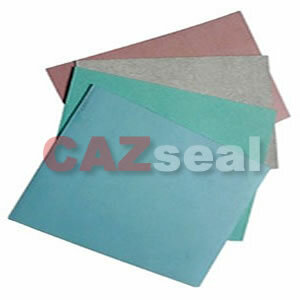 CAZ NAB 420 Non-asbestos beater sheet is made from synthetic emulsion, plants fiber and filling material. The production is used for position of lubrication system, which has the property of good compressibility and coefficient of resilience, in addition, the inside of gasket can properly swell to meet oil, that make up of the shortcoming that procession machining precision is not enough, which affected self-sealing. 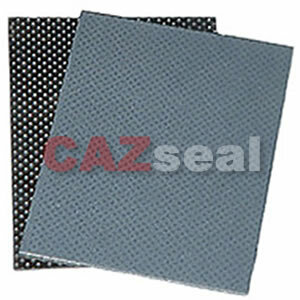 Style 420V is Vulcanized non-asbestos beater sheet with smooth faces. 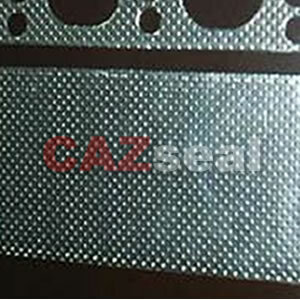 CAZ 420T is made of 420 Non-asbestos gasket sheet reinforced with tanged 0.2-0.25mm Carbon Steel. It is extensively applied in manufacturing various motor gaskets. It is a new material that will substitute asbestos products. The product has excellent performance in dilatability, sealing equality and long life etc., Mainly applied in automobile farming machine, motorcycle and engineering etc., it is also can be used in high strength gaskets and cylinder gaskets etc. It is made of CAZ 420 non-asbestos Beater sheet reinforced with single tanged 0.2-0.25mm Carbon Steel on double-face.